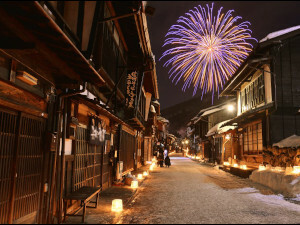 When you ask people to name three things that define Japan they usually name Mount Fuji, geisha, and cherry blossoms. Nagano Prefecture is quite far from Fuji and we would advise you to go to Kyoto to see geisha, but cherry blossoms are aplenty in this region. 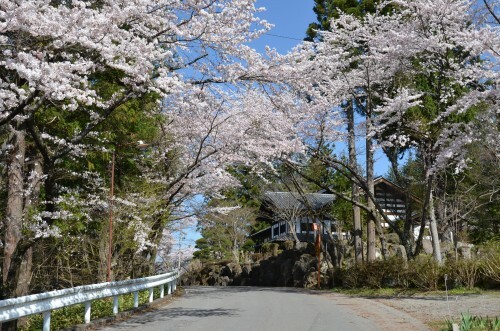 High in altitude and relatively low in temperature, Nagano Prefecture’s blossoms bloom around the midst of April until the beginning of May, later than those in nearby cities like Tokyo or Kyoto. 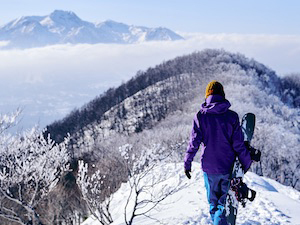 If you are in Japan around this time of year, be certain to pay the mountainous region a visit to see Japan’s natural beauty up close. Being known as the Apple Prefecture, the majority of flowery trees found here are apple trees, but cherry, orange, plums can be found in large numbers as well, offering a beautiful combination during cherry season. Nagano Prefecture is an area that is largely used for agricultural purposes so flowery fruit trees are not a rarity here. 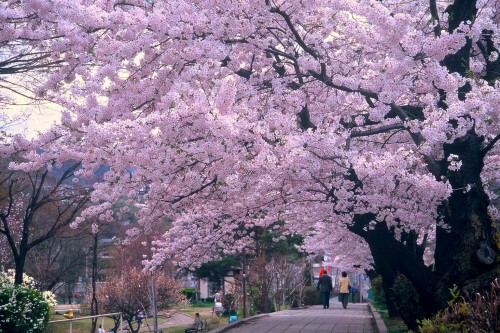 The prefecture has several hanami (cherry blossom viewing in Japanese) sites that are worth traveling for. 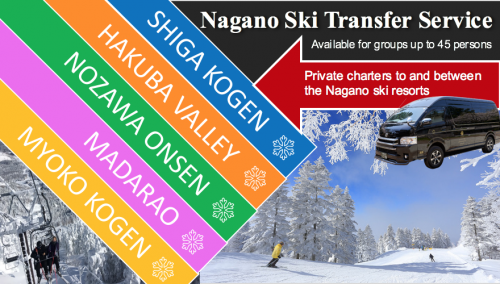 Please see below for some of the most popular blossom areas in northern Nagano region. 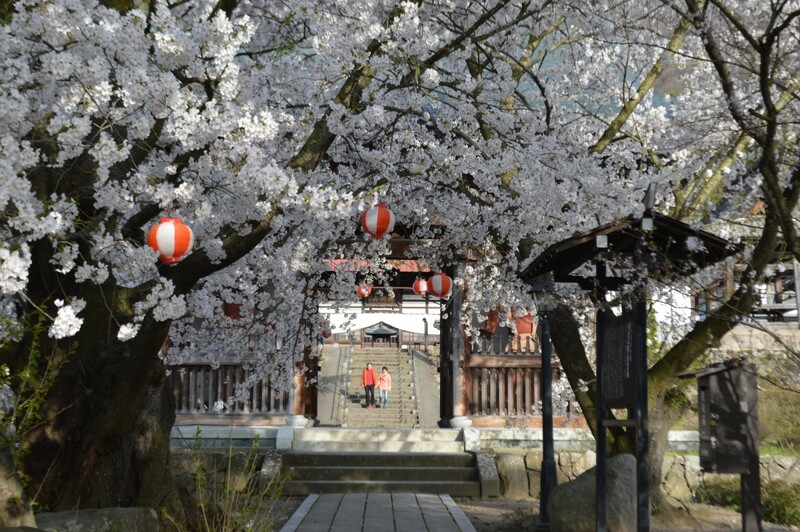 ・Joyama Park: The park is found next to Zenko-ji Temple and has almost two-hundred cherry trees. In the park you can find tea houses from where you can enjoy the pink-colored flowers whilst drinking a cup of tea. 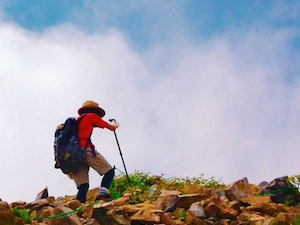 ・Ruins of Matsushiro Castle: Matsushiro is an old town famous for its castle ruins of the Samurai clan Sanada. On the castle grounds there are a 100 cherry blossom trees. 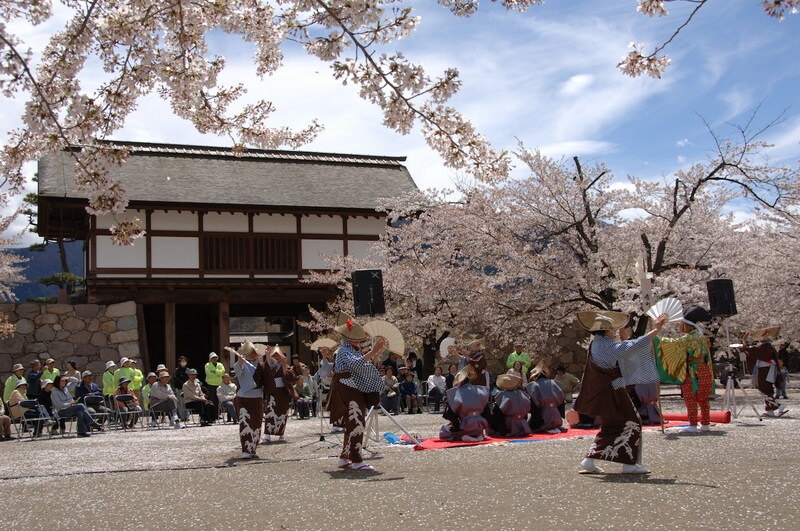 Matsushiro is the perfect place to visit if you not only want to experience hanami, but also learn more about Japanese clan history. 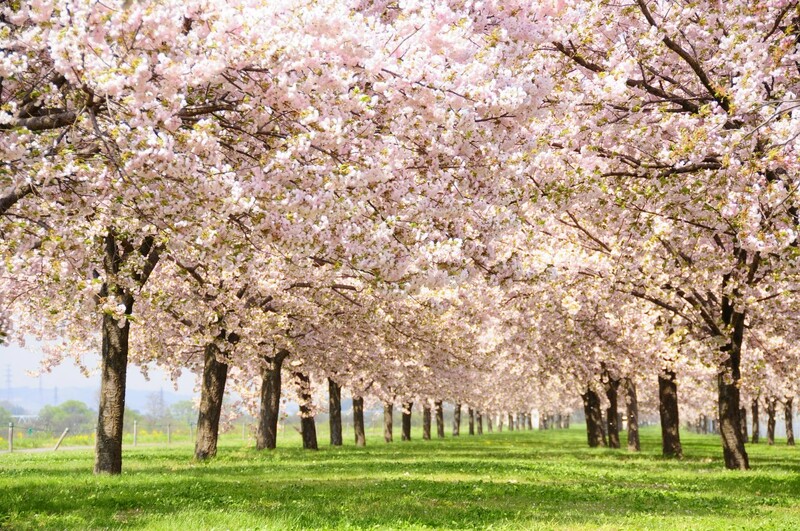 ・Suzaka Garyu Park: Garyu Park is chosen as one of Japan’s top 100 cherry blossom sites and might be the most beloved place to do hanami for people of this region. It has over 800 flower trees and a pond where people love to sit/lay around while watching the blossoms. ・Gansho-in Temple: Gansho-in Temple in Obuse is famous for being the place where Hokusai painted his last artwork. Its backyard has a wide array of trees that bloom colorfully and a pond where countless frog croak away. 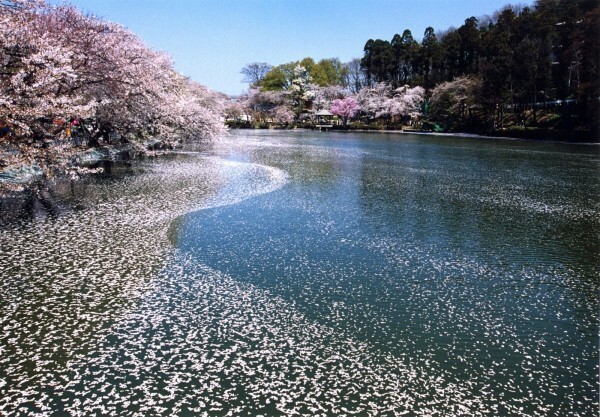 ・Chikuma River: The river that flows past Obuse Town is lined by cherry blossom trees for 4 km long, whose flower petals paint the river pink when they fall down. 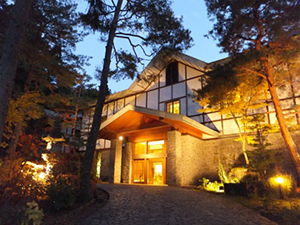 ・Kanbayashi Onsen: Kanbayashi Onsen is the place to go to when you want to visit the renowned Japanese Macaques at the Snow Monkey Park. The area however, not only has monkeys but also cherry blossom trees that line the way from the bus stop until the entrance to the park. Please note that above-mentioned sakura periods are approximate timing when sakura is normally in bloom. 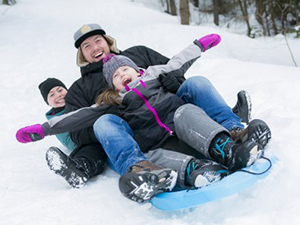 This can be influenced by the season’s climate/temperature. 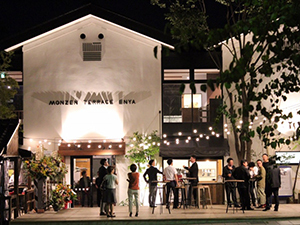 If you wish to know the presence of sakura while in you are in , please contact us. Also, if you want to get taken around to look at some of the most pretty blossom sites in the area, please take a look at our 1-Day Snow Monkey and Cherry Blossom Tour here.